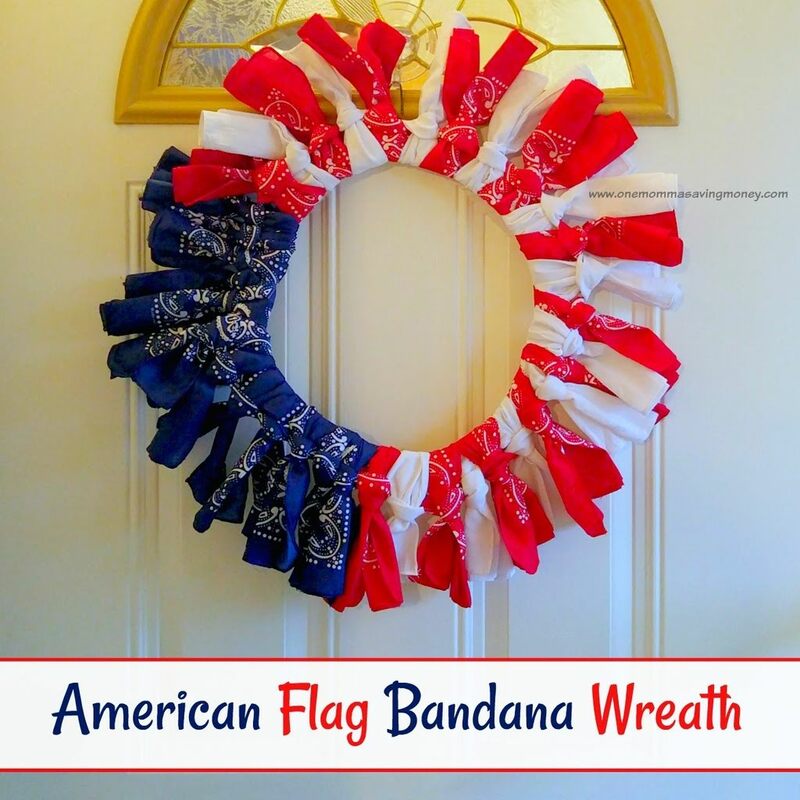 The Fourth of July is coming soon and if you are wanting to get crafty this year then I have the perfect easy decoration for your front door or wall! An American Flag Bandana Wreath! This is such a fun and easy craft that my 11 year daughter made one along side me! 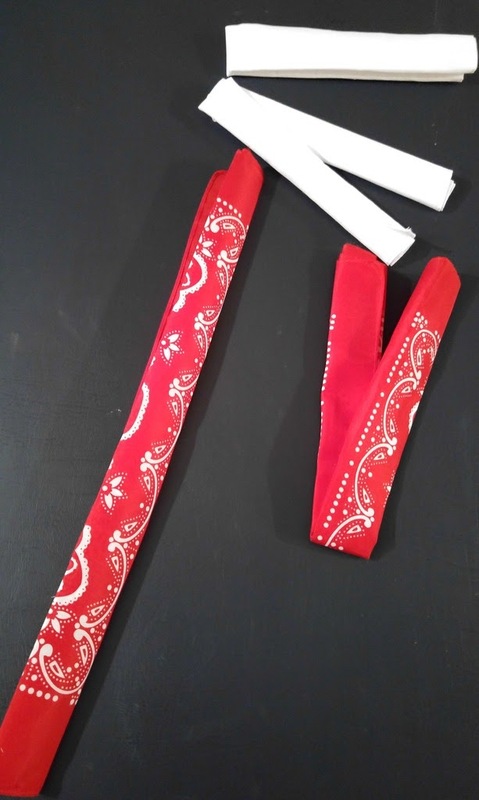 First thing is remove the tag from the bandana and then cut each bandana in half. 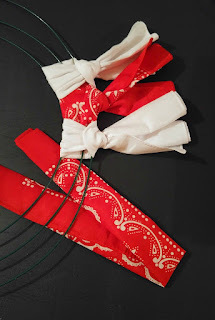 Just fold the bandana in half and cut along the crease! 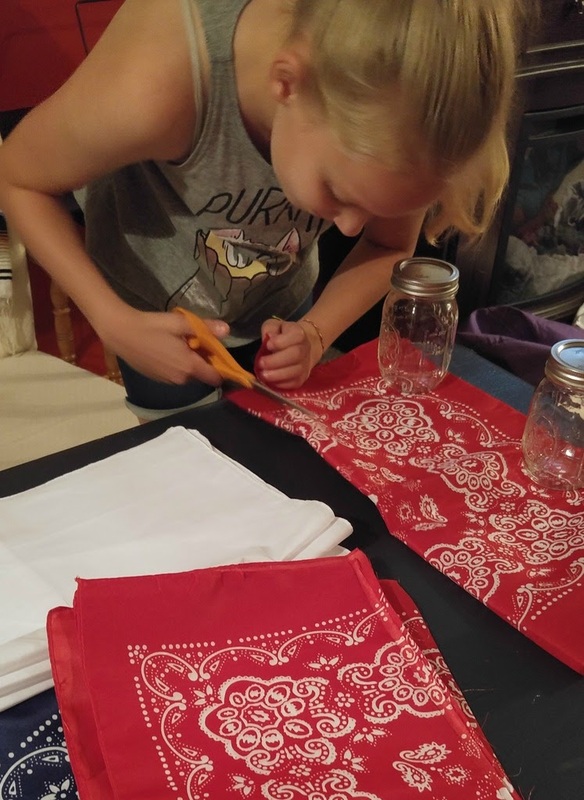 My daughter used some jars to hold her bandanas in place to make sure she cut hers nice and easy (we will be using those same jars in another upcoming project!). 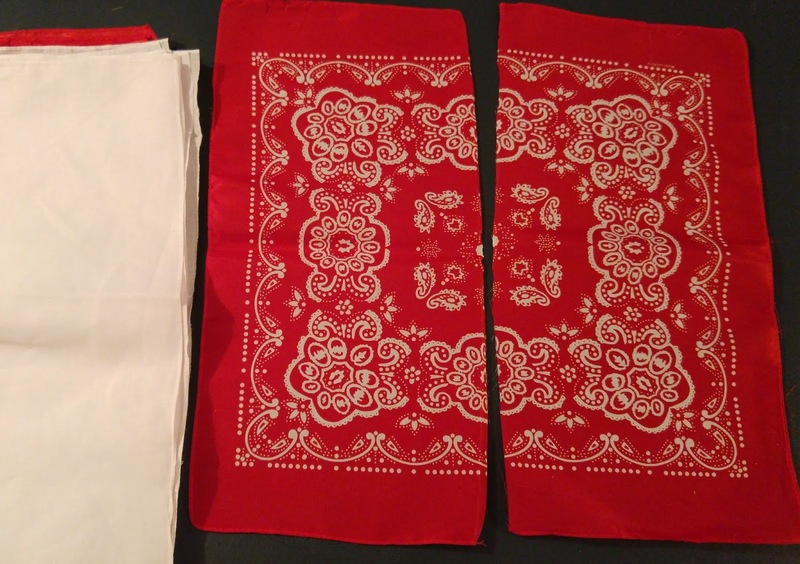 Roll the bandanas. Start with the raw edge and roll it about an inch thick. Then fold them in half making a V shape. Place the V shape under your wire wreath with the folded edge on the outside. Pull the ends through the V shaped loop you just made. The ends of the bandana will be facing the outside of the wreath as shown in this photo. 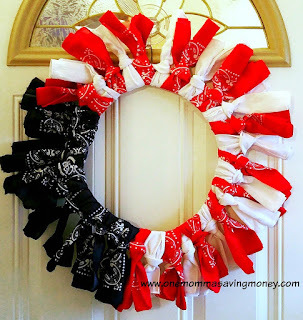 Continue alternating the red and white colors until you have added all of them to the wreath. Next do the same steps above with the blue bandana strips. Use a pipe cleaner or a metal hook to hang it off of your door hanger, wall, etc. 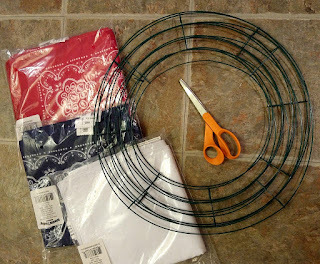 Stay tuned for some 4th of July Luminaries coming up in another post that you can make for home!